The Vancouver Canucks and the San Jose Sharks will both be trying to pick up a win on Thursday when they battle at SAP Center. ABOUT THE CANUCKS (15-16-4): Thomas Vanek highlighted a four-point performance Tuesday with his 10th career hat trick, which ended his six-game drought and gave him a double-digit total in each of his 13 NHL seasons. The 33-year-old Austrian, who is with his seventh team, netted a career-high 43 tallies in 2006-07 with Buffalo. Brock Boeser was in the lineup against Montreal after suffering a bruised ankle in his previous game and scored his team-leading 18th goal, which also tops all NHL rookies, while defenseman Erik Gudbranson returned from a 12-game absence due to an upper-body injury and notched an assist for his first point of the season. ABOUT THE SHARKS (17-11-4): San Jose could be without leading scorer Logan Couture, who suffered a concussion at Vancouver on Friday and missed the loss in Edmonton. The 28-year-old center has recorded 26 points and also tops the club with 15 goals, leaving him six shy of 200 for his career. Reigning Norris Trophy winner Brent Burns notched a pair of assists Monday, giving him two points in five of his last six games. 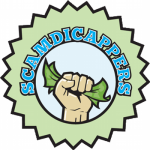 Oddsmakers opened the Sharks as -191-moneyline favorites versus the Canucks, while the game’s total opened at 5.5. The Vancouver Canucks have won just one of their last seven games, with that triumph coming against the San Jose Sharks during their just-completed 1-3-0 homestand. The Canucks hope to get in the win column again on Thursday as they take a brief break from a lengthy string of contests at Rogers Arena to visit the Sharks.Vancouver, which is in the midst of a stretch during which it plays eight of nine at home, scored more than two goals for just the second time in its last seven games on Tuesday but dropped a 7-5 decision to Montreal. The other occasion came on Friday in a 4-3 overtime win over the Sharks, whose 5-3 loss at Edmonton on Monday concluded a 1-1-1 road trip. The setback ended San Jose’s five-game point streak (3-0-2), but the club begins its three-game homestand with a 3-0-2 record in its last five at SAP Center. Martin Jones has allowed four or more goals in each of his last six starts (1-3-2) and is winless in his last three as he remains in search of his 100th career victory. Where to bet on Vancouver Canucks vs. San Jose Sharks? 1. The Canucks assigned C Michael Chaput, who appeared in three games with the club, to Utica of the American Hockey League. 2. San Jose C Joe Thornton needs one point to tie Doug Gilmour (1,414) for 18th place on the all-time list. 3. Vancouver D Derrick Pouliot’s next game will be the 100th of his career. 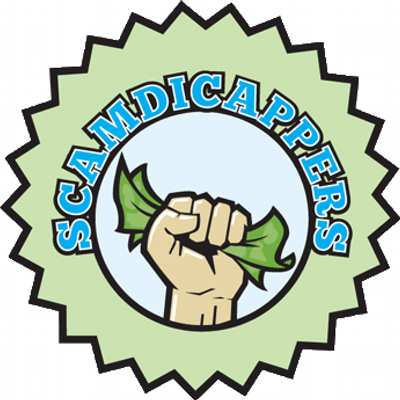 Picks: San Jose Sharks will win outright at -191 and the game will go over 5½ goals according to scamdicappers.com. PREDICTION: Sharks 4, Canucks 2 at .